KINGSFORD — Esther M. Carlson, 80, of Kingsford, went home to be with her Saviour Jesus Christ, on Friday, Aug. 10, 2018, following two years of declining health as the result of a stroke. She was born Sept. 14, 1937, in Chicago, daughter of the late Herbert and C. Marie (Wasson) Harrell. Esther graduated from Wells High School, Class of 1955. In her youth, Esther was very active in the Know Your Bible Club where she was a regular participant in the studio audience on the radio at the Moody Bible Institute. She worked for United Airlines in Chicago and New York City and became the top reservation agent. She married Edward Carlson on Jan. 14, 1961. The couple moved to Kingsford in 1967 and established Edward’s Mobil in Aurora, a gas station and repair garage with 24-hour towing. Esther was a devoted housewife and mother. She enjoyed making crafts, was a bookkeeper for the family business and helped in a Christian School. Music was a very important part of Esther’s life. 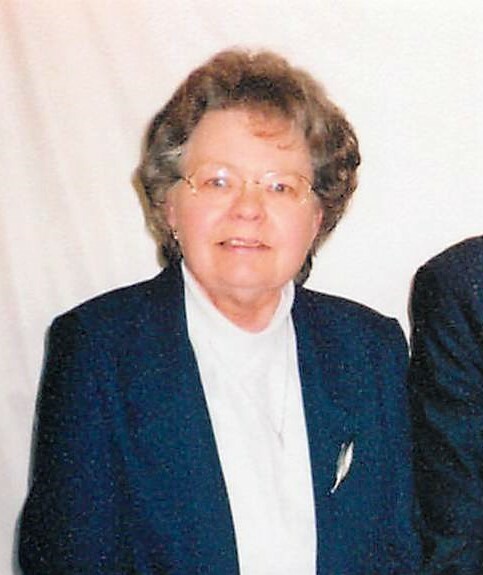 She was the organist at First Baptist Church in Iron Mountain for many years, where she taught Sunday School. She leaves behind her husband of 57 years, Edward; her son, David (Laurie) Carlson of Manchester, N.H.; two grandchildren, Ashlee and Aaron Carlson; two brothers, H. David (Pat) Harrell of Rock Hills, S.C. and John (Alice) Harrell of Joliet, Ill.; a sister, Martha Pech of Portland, Ore.; and many nieces and nephews. Visitation will be 4 to 7 p.m. Wednesday, and from 10 to 11 a.m. Thursday at the Erickson-Rochon & Nash Funeral Home of Iron Mountain. Funeral services will follow at 11 a.m. Thursday at the funeral Home. Rev. Kevin Sullivan will officiate. Burial will be in the Homestead-Aurora Cemetery. In lieu of flowers, memorials may be made to the Family Baptist Church. The family would like to thank the staff & administration of ManorCare Health Services for the care and compassion they gave to Esther in her final years. Condolences may be expressed to the family of Esther Carlson online at www.ernashfuneralhomes.com.